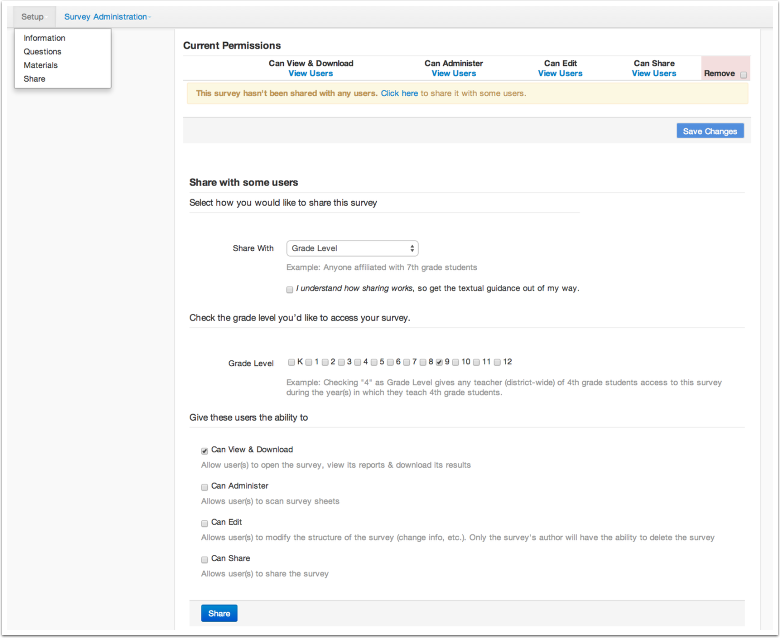 This lesson will guide you through the process of creating a survey within Illuminate. Once created you can print answer sheets, scan, and input results to see a breakdown of results. Note: Surveys only accept one answer per question. 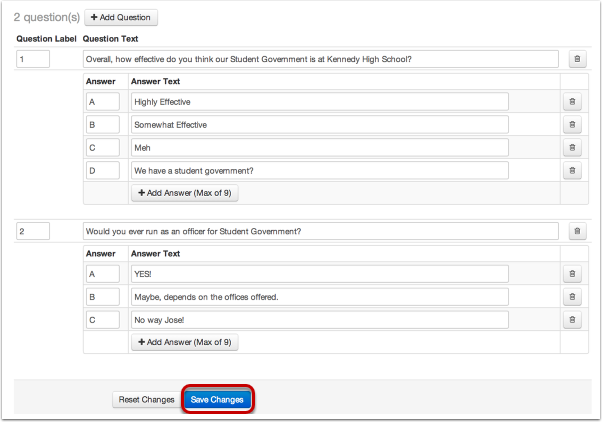 If users need to select multiple answers you can create a Flexible Assessment. 2. Under General, click Create a New Survey. 1. Give your survey a title. 2. Input the number of questions on the survey. 1. Input your Survey questions in the Question Text box. 2. To delete questions, click on the Trash Can icon next to the question you wish to delete. 3. To add questions, select the + Add Question button. Once you've selected + Add Answer, you will be given the ability to input answer information. 1. Under Answer, input the character you wish to associate with the answer. 2. Under Answer Text, input any information that applies to the answer choice. 3. To add more answers, select + Add Answer. Note that the maximum is 9. 4. Select the Trash Can to delete answer choices. Once your survey is complete, click Save Changes. Once finished you will note at the top that you now have some sub-navigation tabs. Under Setup, you can edit by selecting Information or Questions. You can add Materials. For example, the document with the actual survey printed on it, etc. If you then share the survey (See Below), this document will be available to all users it is shared with. Also, you can Share the survey with other users.